3 August 2009, at 3:29p.m. GLOBAL - The intensification of the production in poultry farming has increased the risk of viral and bacterial diseases. As a consequence, there is an increased need for methods of prevention and treatments. This consists of administering to an infected animal an active ingredient capable of stopping the development of pathogenic bacteria and enabling it to recover. Ceva Sante Animale has produced an illustrated book, Rational Antimicrobial Use in Poultry Production, especially dedicated to poultry farming that describes theoretical and practical aspects of a rational antibiotherapy. This latest edition includes updates to the first edition. Another method of treatment is through vaccination. However, instituting a vaccination programme of preventative medicine in poultry rearing goes far beyond the vaccine itself. Vaccination is an overall process, which involves the animal, the vaccine and the technique on the one hand and the surrounding environment including the human factor to ensure the efficacy of protection on the other. Ceva Sante Animale's Vaccines and Vaccination in Poultry Production is an illustrated guide that describes the theoretical and practical aspects of vaccines and vaccination and also includes updates from the first edition. 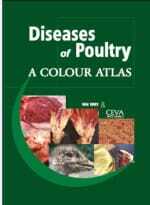 Ceva Sante Animale has also produced a Colour Atlas of Diseases of Poultry by Ivan Dinev, which acts as a manual for helpful diagnosis of poultry diseases as well as their treatment and prevention. The book is mainly a photographic guide, forming an easily accessible way of identifying lesions of specific nosologic units. The atlas contains 557 colour photographs demonstrating the overall pathology of birds. 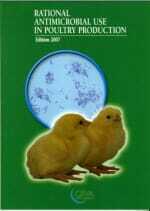 The book includes more than 50 diseases from avian infectious pathology and a similar number from non-infectious pathology. There are both classic and well known diseases and new and little know diseases. The book is designed for veterinarians, veterinary students, poultry farmers and poultry specialists. To complement the Colour Atlas of Diseases of Poultry, Ivan Dinev together with Ceva Sante Animale produced a more in-depth and specialised book, presenting the microscopic lesions on tissue or cellular level that have a diagnostic value for the detection of specific diseases in birds. 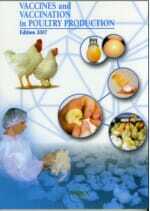 Histopathy and Cytology of Poultry Diseases is divided into units on an etiological basis, with the idea of more convenient laboratory diagnostics of poultry diseases. The primary approach is again the demonstration of lesions through photographic material. The book contains 214 colour photos total. 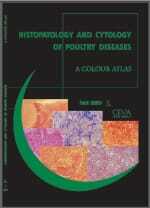 The book is aimed at avian pathologists working in the field of laboratory diagnostics of poultry disease, as well as by veterinary professionals and students interested in this aspect of pathology.